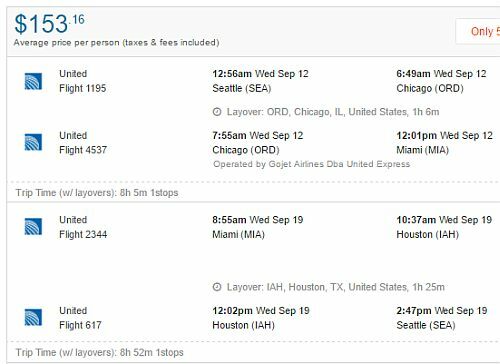 United Airlines has dropped the price of their flights from Seattle to Miami, Florida down to $178 CAD roundtrip including taxes. The flights have 1 stop each way, in Houston, Texas. 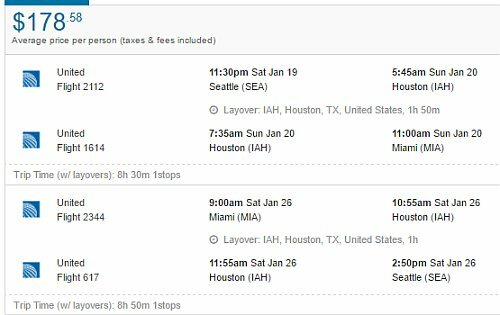 Update 8/22 - Seattle to Miami flights have returned today for $153 CAD roundtrip including taxes, mainly for travel in September, and a few dates in December. - Dec 4 to Dec 11 is the one date combination in December currently available. 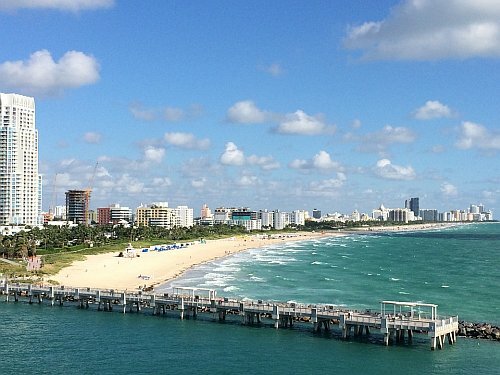 flight deals, seattle, sea, miami, mia, florida, united states, united airlines and north america.